Discussion in 'News' started by ForsakenLegends, Feb 21, 2017. I wanted to provide a quick update here on what's going on behind the scenes. The first thing I'd like to mention is if you're not in our Discord channel, to check that out. We post there more frequently with screenshots and updates. You can find the link to join (for free) in my signature. I've been playing around with some voxel solutions. I don't have much to show there at as I've been hitting some road blocks. I've been working with Dyox from Terrain Engine, and he's been very helpful with getting stuff set up, so hopefully I'll have some screenshots to show of the new terrain soon. I've also been working through Unity's official certification course for hours each day. My goal is to be able to help speed up the development of FL so both Ben and I can add new features. I have a decent understanding of Unity, but this is helping me build on a solid foundation of understanding things. Our goal right now is to get this example terrain to the point where you can fight monsters, deal with merchants, level up, and have a full game experience. Once we get to that point, we'll add in multiplayer again so you can enjoy the game with friends! Craine, Zerrubabel and Eskil IKEA like this. 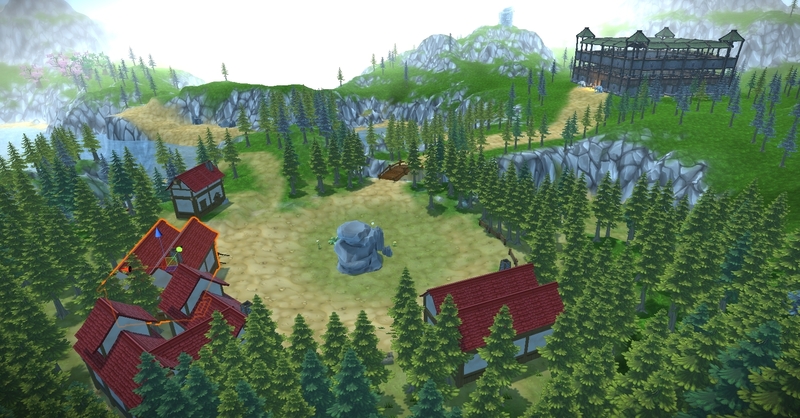 We're shooting for a release by next Friday with a fix for the slope issues, and releasing the new forest scene. I'll keep everyone posted throughout the week to see if we'll be able to release by then.